Is only way a company can keep costs down is to reduce the cost of labor? According to Zeynep Ton (a professor at MIT Sloan School of Management), it’s not a requirement – it’s a just a very bad choice. While reducing labor costs produces short-term benefits for share-holders, it will ultimately produce long-term negatives. People that are employed with minimal benefits, low wages, and poor schedules won’t be able to provide great good service, won’t follow corporate “best practice” procedures, and won’t have any job loyalty. 1. Offer Less. In offering a wide range of goods, your inventory becomes a risk: greater numbers unsold goods, goods that are lost in storage, and product choice overwhelm. With fewer choices, employees will be able to better recommend products in your inventory. 2. Standardize and Empower. Identify the best way to perform tasks and standardize them. Standardization makes training easier and provides consistency. Empower employees to go beyond the basic rules (based on their training) as needed, and improve the standardization as better opportunities arise. 3. Cross-Train. Train employees to do a number of related jobs well. For example, an employee that can operate a cash register, stock shelves, answer phones, and ship packages can flexibly adapt to the varying daily needs of a business. When fewer customers are around, employees can do other necessary work. 4. Operate with Slack. In trying to schedule the “right number” of employees for a shift, you’ll invariably have situations where not enough employees are available. Understaffing creates a drain on all aspects of the business. But cross-trained employees can adapt to providing the services that are needed. 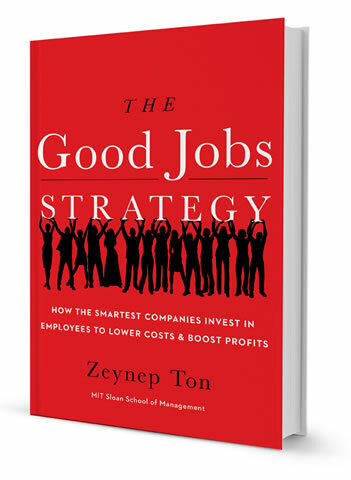 Providing “good jobs” will have a long-term benefit your employees, customers, and investors. 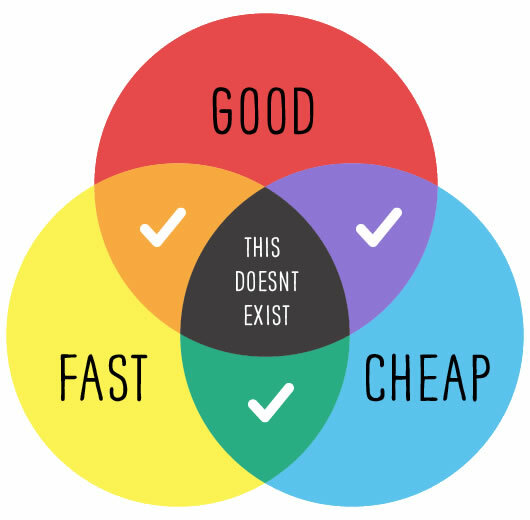 If your company implements the Good Jobs Strategy, the slogan Fast, Good or Cheap. Pick two, will be obsolete.